In just two weeks, the Indo Expo is coming back to Denver, Colorado. This premier cannabis trade show is focused on building business to business relationships and providing a professional platform for producers, processors, wholesalers and retailers. The show will feature product demonstrations, educational seminars, networking and more! The Indo Expo will also host a Hemp Pavilion featuring USA-made hemp products and services. This is an excellent way to support hemp businesses and entrepreneurs. 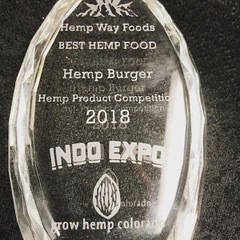 In celebration of the first day of the Indo Expo, there will be a Hemp Awards Dinner, where the winners of the hemp product competition will be announced. 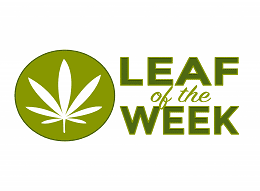 The Grow Hemp Colorado Hemp Products Competition is the first in the industry, highlighting the beneficial uses of hemp products from around the nation. Catering the GHC Hemp Awards is Colorado’s own Hemp Way Foods. 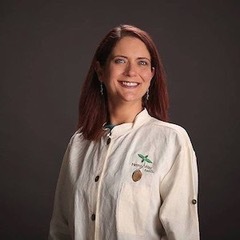 Carla Boyd, founding chef and CEO, is on a mission to show how hemp can change our world. She shares this message through her delicious hemp foods and by speaking at national conferences. Her company won Best Hemp Food Product at the 2018 Indo Expo and was most recently nominated for Best Hemp Product/Company at the 2018 Cannabis Business Awards. Hemp Way Foods is famous for their incredible Hemp Burgers, Hemp Crumbles, and Hemp Nacho ‘Cheese’. Their products, which were featured in Livekindly, are vegan and contain no soy, corn, nuts, or gluten. In addition to hemp being a sustainable food source, hemp is incredible for overall health and wellness. Hemp is a superfood. It’s high in protein and fiber to slow digestion, preventing sudden rises in blood sugar levels. Hemp also contains a perfect 3:1 ratio of omega fatty acids, reducing the risk of cardiovascular diseases. The fatty and amino acids contained in the nutrient-dense plant-based food help stimulate skin and hair growth, maintain bone health, regulate metabolism and assist in brain function. 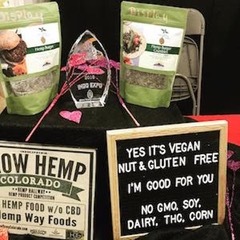 With so many known benefits to our health, as well as the planet’s, it’s amazing to see how events are including hemp food options for their attendees! The Indo Expo is a must-attend event for anyone, and the Hemp Awards Dinner is the perfect way to end your night in celebration of cannabis. Hemp Way Foods will have product samples as well as options at the concession at the Indo Expo, and you’ll have another chance to enjoy their delicious food at the awards dinner. In addition to being heavily involved with the Indo Expo, Hemp Way Foods is also on the menu at Green House Healthy’s Hempy New Year Vegan Dinner, the Friday before, on January 25th! Be sure to take advantage of any one of these several opportunities to treat yourself to 2018’s Best Hemp Food Product!